It is only for God (the bestower and creator of forms), and perhaps for angels and intelligences, at once to recognize forms affirmatively from the first glance of contemplation; Man, at least, is unable to do so, and is only allowed to proceed first by negatives, and then to conclude with affirmatives, after every species of exclusion [Francis Bacon, Novum Organum, 1620, Book 2, aphorism 15]. In the complete grasp or experience of truth no negative judgment would remain. The aim of negation is elimination. In complete knowledge no trace of it survives [J.D. Mabbott, 1929]. There can be no discussion of Canadian identity without acknowledging the importance of geography, specifically its proximity to the United States. Historically, this relationship has involved an element of polarity according to two definitions of the word; both in terms of attraction and diametrical opposition. The former definition, what George Grant would call the "continental pull," is perhaps an inevitable result of setting up camp next to a hegemon. This first polarity is reflected by the irresistible attraction of Canadians towards American consumerism and culture — if indeed we are to consider both of those as separate. The second polarity, or diametrical opposition, could be misconstrued as a knee-jerk reaction to the first if it were not, in some ways, prior to it. This opposition is illustrated by the common saying that Canadian identity can be defined as simply "not being American." The foundation of Lower and Upper Canada, from 1791 onward, was based on an affirmation; namely that their respective traditions were something worth protecting, thus limiting personal freedom in the name of collective good was justified. This is hardly a revelation. 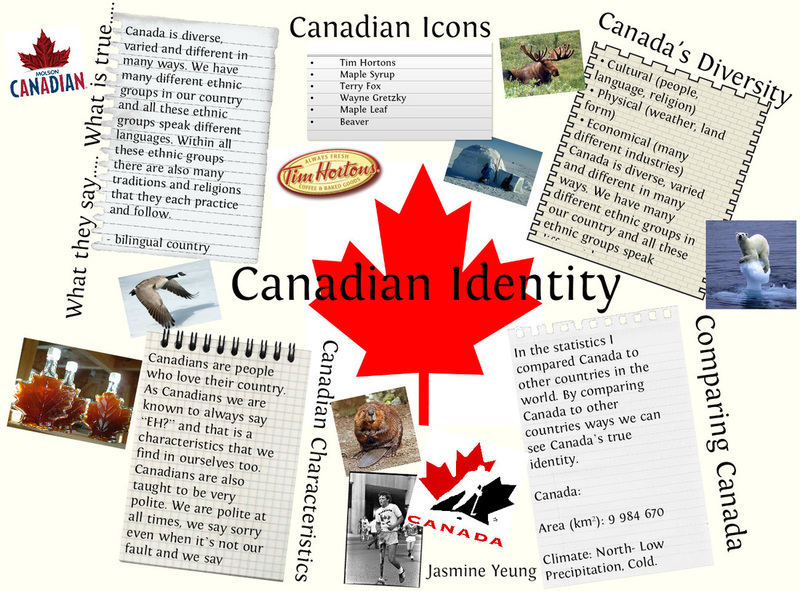 Indeed, the central fact of 20th century Canadian history is the reversal from a positive to a negative identity. 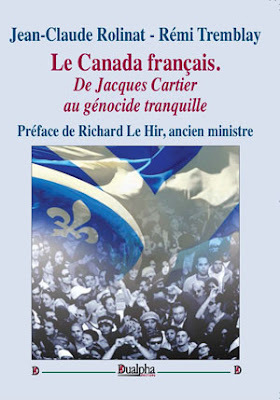 We could go as far as to say that its History is, in fact, a History of negation: the rejection of the American ideal, followed by a double deracination; the emancipation from — or negation of — the European motherland, coupled with the rejection of the very idea of a core European identity by Pierre Trudeau and his successors. Negative identity, according to developmental psychology, is closely associated with adolescence and consists in defining oneself by what one was not, as opposed to what one is. To quote the actor Mike Myers: "Canada is the essence of not being. Not English, not American, it is the mathematic of not being." We have clearly entered into the vaporous realm of pure ontology. It follows, then, that the negative proposition "A is not B" (Canada is not America) presupposes the existence of the variable C (an undefined Canadian identity) which is incompatible with, or other than, B. A number of questions arise from this apparently simple observation. Who is in charge of defining B — the America that Canada is supposedly not — and, consequently, to whom does it devolve to define C? Arguably, the antipodal inversion from a positive to a negative identity has articulated itself around a central pivot; namely the structuralizing virtue of institutions. From the belief that institutions served to preserve a positive identity, Canada has now come to view the institutions themselves as constitutive of identity. In a 2011 study, the Institute for Research on Public Policy (IRPP) points to a number of surveys as proof that "Multiculturalism has become part of the Canadian identity" with respondents ranking it, along with health care and the Charter of Rights and Freedoms, among the most important national symbols.2 Another poll commissioned by the Association of Canadian Studies claims that 94% of respondents viewed health care as an "important source of collective pride." Interestingly, the editor of the IRPP study, Jeffrey G. Reitz, speculates that "Canadian pride in multiculturalism may be to some extent reinforced by its role in defining Canadian identity vis-à-vis the United States." As an intellectual exercise, let us assume these findings are actually representative of broad public opinion. The belief that multiculturalism, healthcare, and the Charter of Rights and Freedoms are central to national pride is indicative of Canadians viewing their identity as a de-personalized externality. To reiterate, this implies that A (Canada) is not B (America) because C (institutions exist that are in opposition to B). We are left with a perversion of the original ideal, concerning the structuralizing importance of institutions as a mechanism of differentiation; of course in this case the institutions serve to preserve a negative, as opposed to a positive, identity. This conflation of institutions and identity, indeed, this identification with the very institutions that seek to suppress them is, for Whites, a form of Stockholm syndrome in the strictest sense. All the above also applies, in a similar vein, to Quebec; the dynamic between it, the Rest of Canada and the United States could be described, then, as a trilinear polarity, once again both in terms of attraction and opposition. Once the affirmation of a central ethno-cultural (and thus exclusive) identity became (or was made to become) unacceptable, nationalist discourse shifted towards the French language as an inclusive constitutive element: language being, of course, yet another institution. A national identity based solely on a shared language is necessarily a negation of both race and culture; it is then an only slightly more stringent form of multiculturalism. This hunkering down — on multiculturalist policies or on the French language — can be interpreted not only in terms of polarity but also ontologically; as attempts to ward off the specter of non-being. According to the Aristotelian Law of Contradictions, the propositions A is B (Canada is America) and A is not B (Canada is not America) cannot simultaneously be true; whether or not classical logic is applicable to questions of collective identity, it certainly holds that the existence of such a paradox is far from conducive to any lasting sense of national unity. For Hegel as for many philosophers, "an unresolved contradiction is a sign of error;" contradictory opposites, if left unchecked, lead to a sort of phase cancellation, borrowing a phenomenon from acoustics, and the ensuing silence of non-being.4 Therefore, the hegemony of multiculturalist doctrine — and its unilingual variant in Quebec — is a synthetic solution, in Hegelian dialectical terms, derived from the conflict between a thesis and its antithesis. Obviously it was but one possible synthesis among many. National identity, in a sense, is a zero sum game. As Spinoza famously said, Omnis determinatio est negatio — every determination is a negation. Ethnic pluralism is the affirmation of the Many through the negation of the One. Undoubtedly, the ideological subversion of a nation-concept is most effective when it is formulated in familiar terms — if it is articulated around a central pivot, origin myth or institution which creates the illusion of continuity. In all European nations as well as its former colonies, it is increasingly clear that egalitarianism has been an ideological dead end and a testament to finite minds and the inherent fallibility of Man. May this negation be a temporary setback on the path towards our ultimate affirmation.